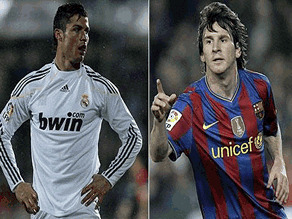 Cristiano Ronaldo avoided giving too much importance to the result of the spanish clash Barcelona - Real Madrid. Although he admits such a game will be important, the superstar says that the game outcome "can be decisive or not", since it can be worth "three points and not six". The portuguese international remembered the importance of the team playing as a whole, and regarding that he added "talking about a duel Cristiano Ronaldo vs Messi is absolute non-nense". Expectations about who will win the FIFA World Player of the Year, help raising the anxiety to see such players performing, specially against each other. There's also been confirmed that Portugal will play against Argentina in the 11th of February, so this Monday's clash will be just the first of at least 3 match-ups between these two players.